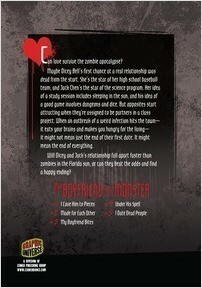 Can love survive the zombie apocalypse? Maybe Dicey’s first chance at a real relationship was dead from the start. She’s the star of her high school baseball team, and Jack’s the star of the science program. Her idea of a study session includes sleeping in the sun, and his idea of a good game involves dungeons and dice. 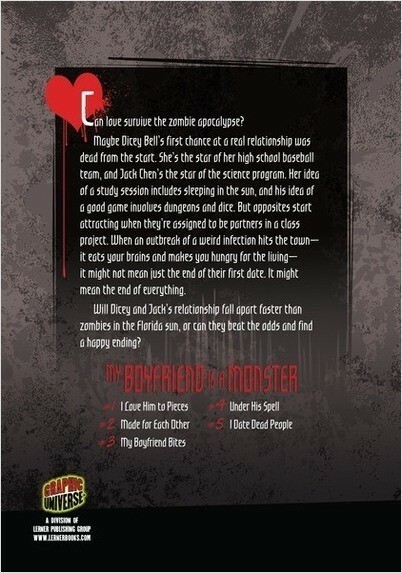 But opposites start attracting when they’re assigned to be partners in a class project. Now an outbreak of a weird infection—it eats your brains and leaves you hungry for more—might not mean just the end of their first date. It might mean the end of everything. 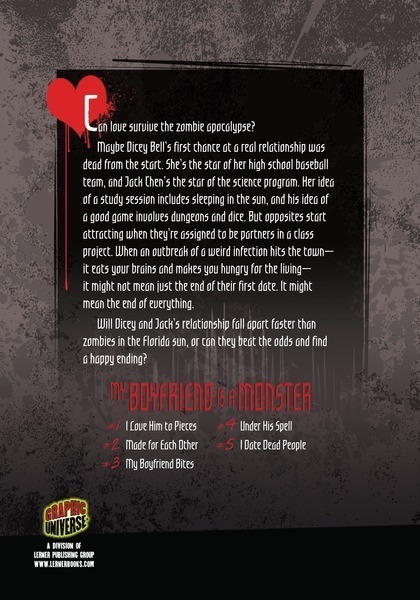 Will their relationship fall apart faster than zombies in the Florida sun, or can Dicey and Jack beat the odds and find a happy ending? Janina Görrissen was born and raised in Ludwigshafen, Germany. After finishing high school she studied Graphic Arts at the Joso Comic School in Barcelona, Spain. After finishing the three-year course, Janina was able to start working in the comic industry and got to draw her first published work, Kairi. Janina has also done the graphic novel Black is for Beginnings for Flux Publishing and I Love Him to Pieces for Lerner Publishing Group. She has also done various smaller illustration commissions.